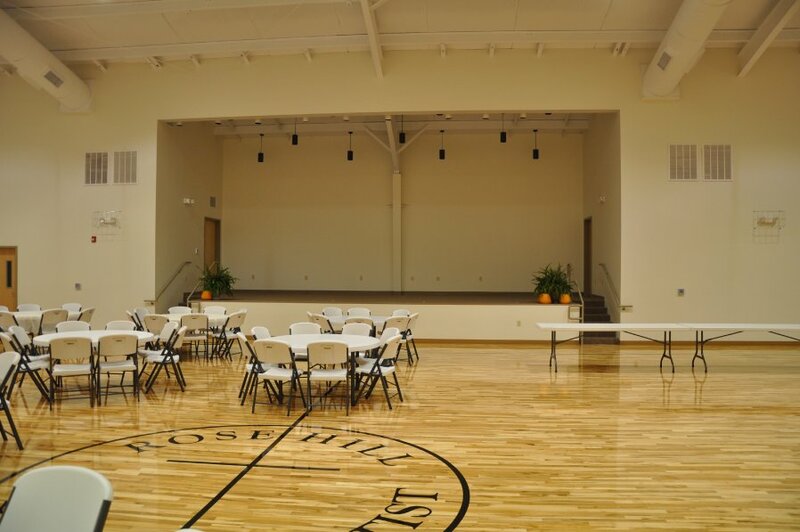 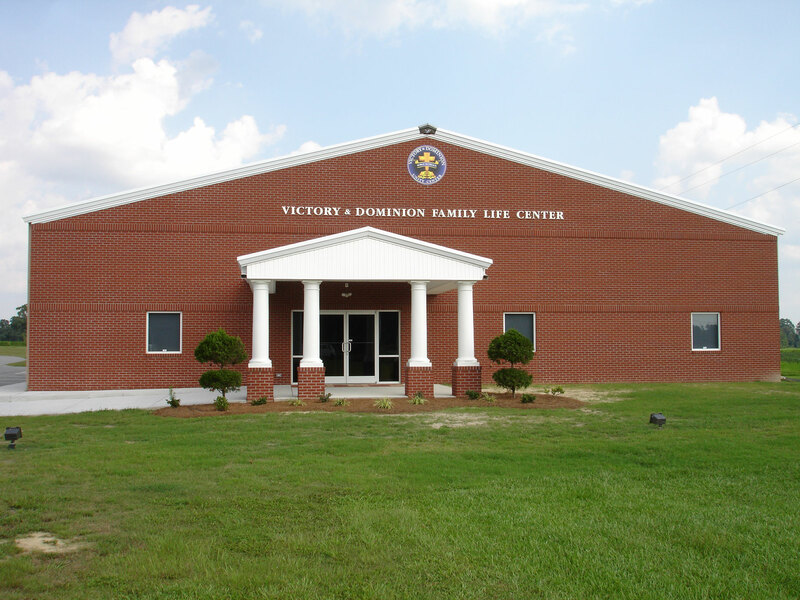 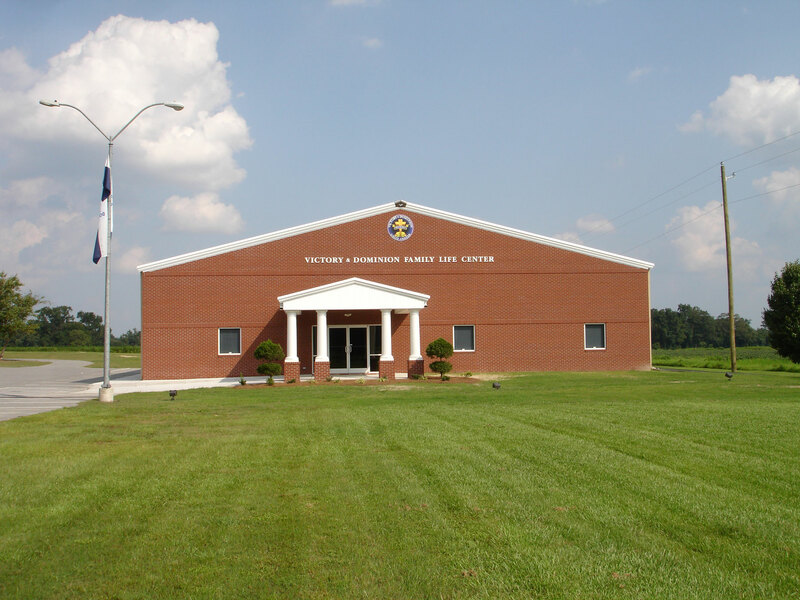 Family Life Centers | Farrior & Sons, Inc.
Farrior & Sons, Inc. built two classroom wing additions for Rose Hill Church in 2000. 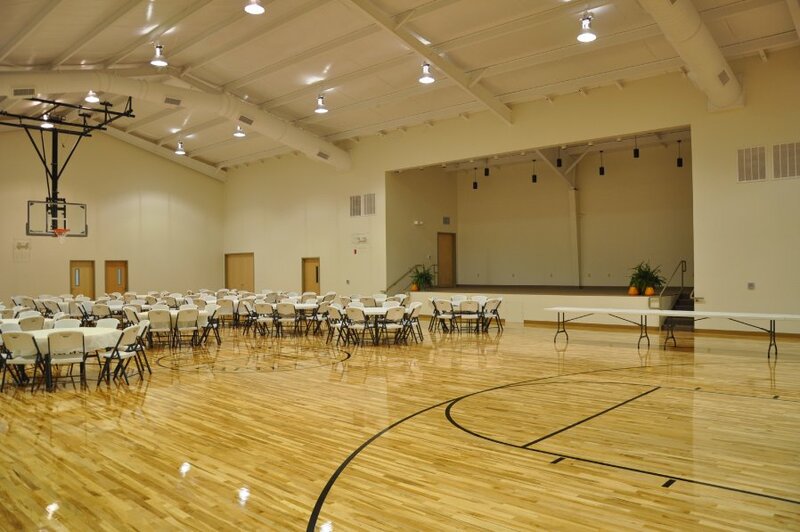 The facility has several classrooms, bathrooms, a kitchen, a large gathering area for basketball games, special events, and performances. 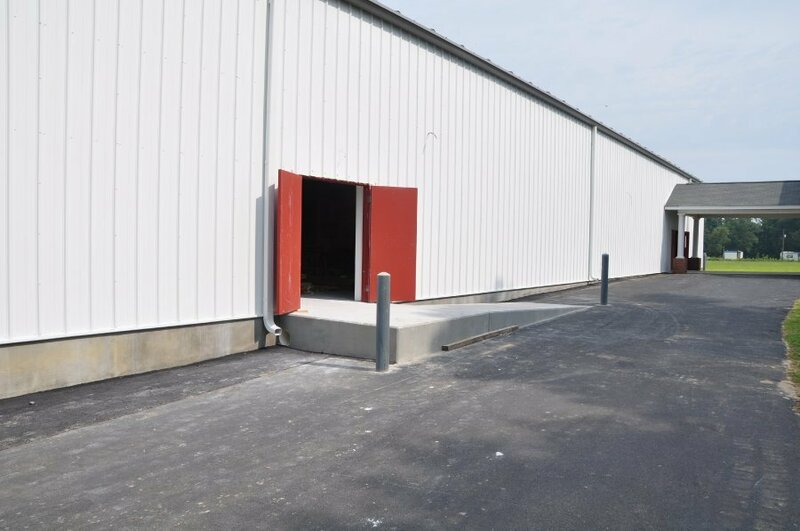 There is also a stage with a ramp for access and dressing rooms. 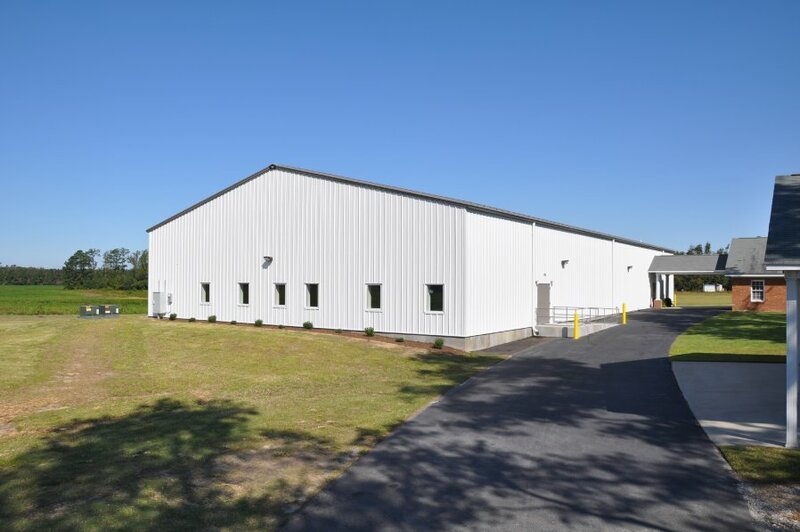 The building is a Varco Pruden pre-engineered building with metal stud framing, painted drywall, exposed ceilings in some areas and acoustical in others. 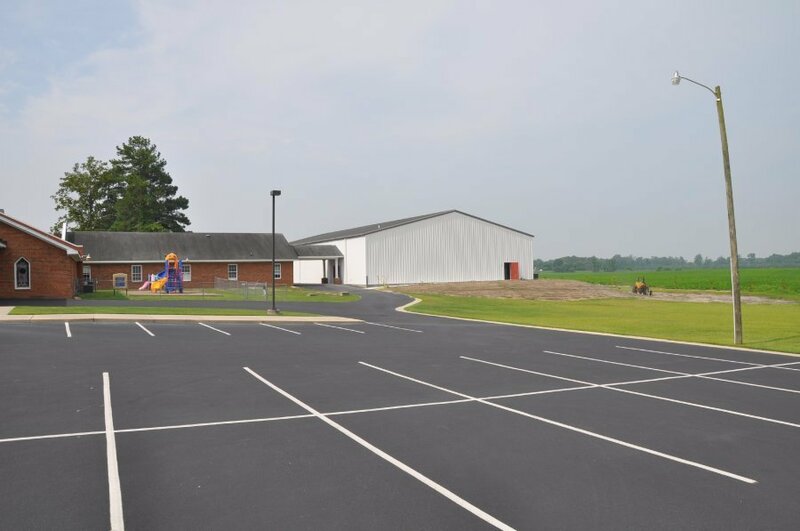 Project Description: 12,750 SF New Family Life Center with covered drop-off. 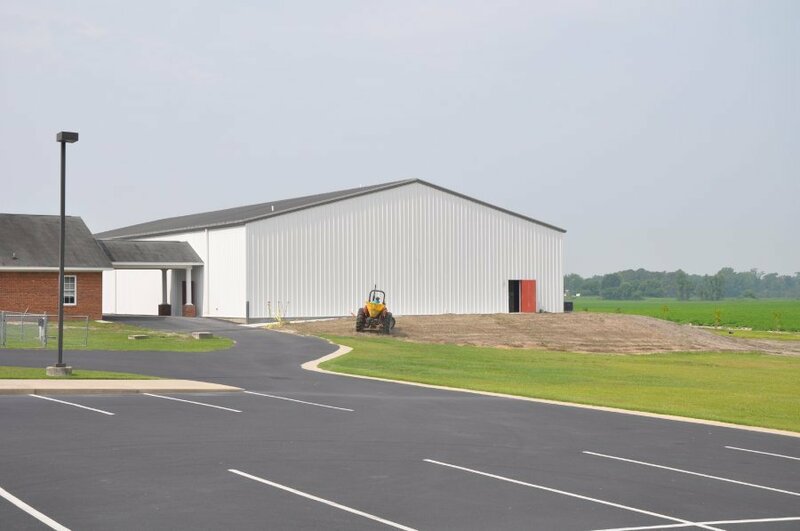 Monolithic concrete floor slab, Varco Pruden metal building, metal stud framing, metal siding and brick veneer. 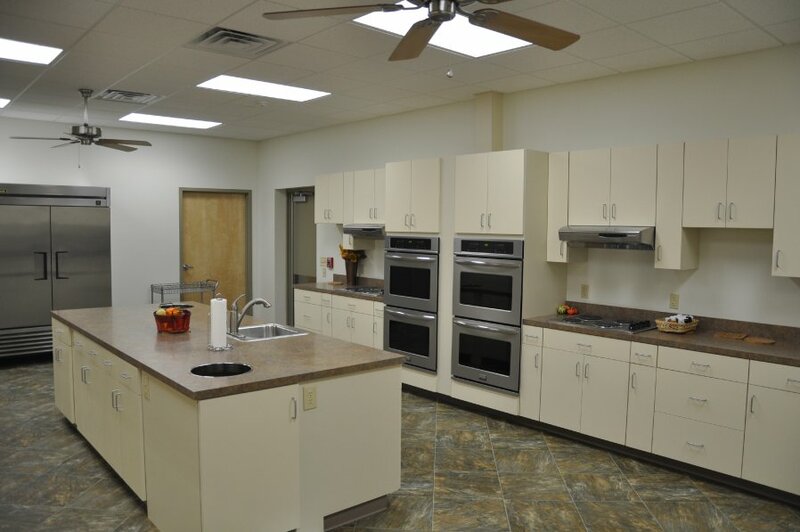 Classroom, gang toilets, office and kitchen. 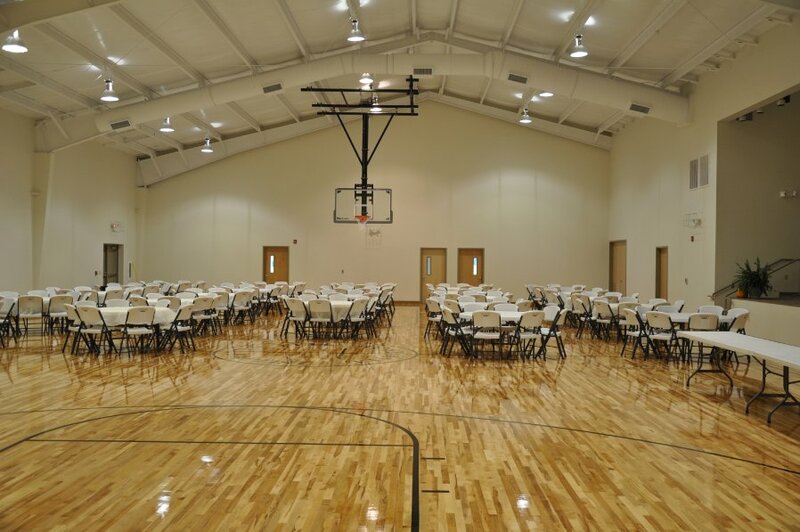 Solid maple flooring in the gym. 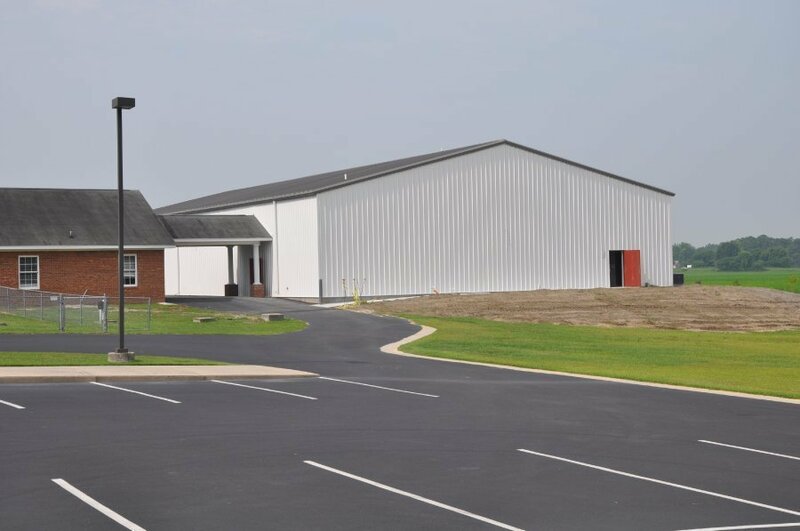 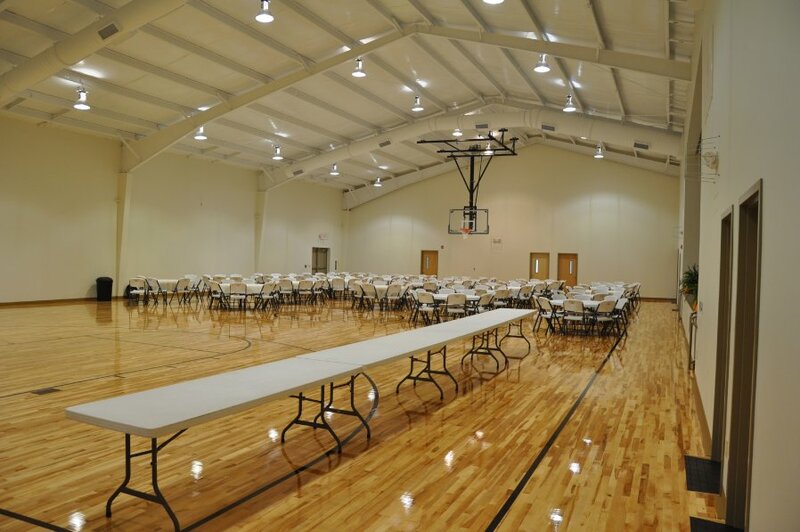 Project Description: 11,000 SF Family Life Center with multi-use sports flooring, stage, kitchen and offices, slab on grade. 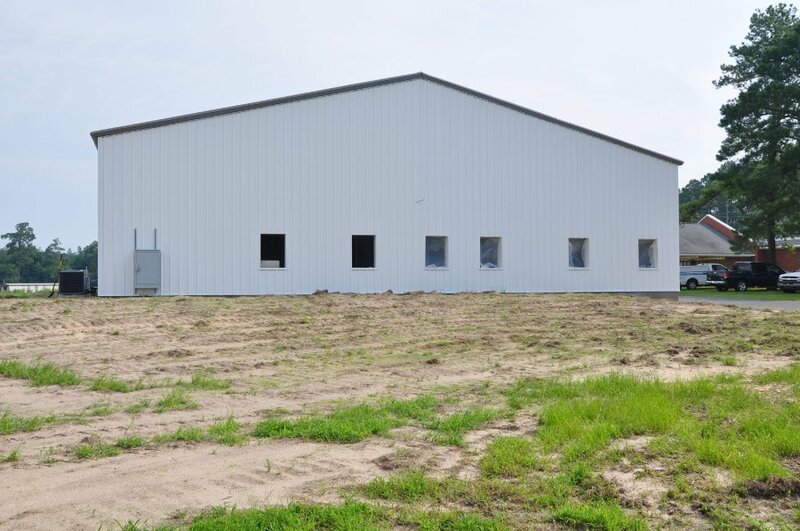 Pre-engineered metal building construction. 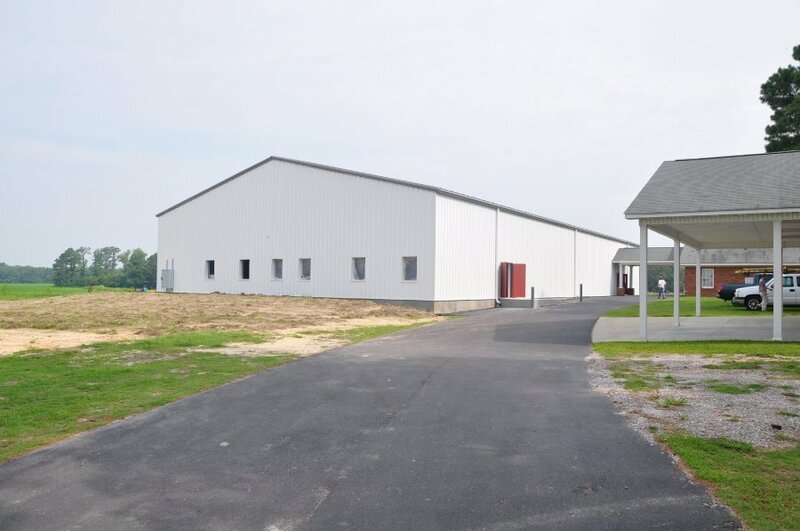 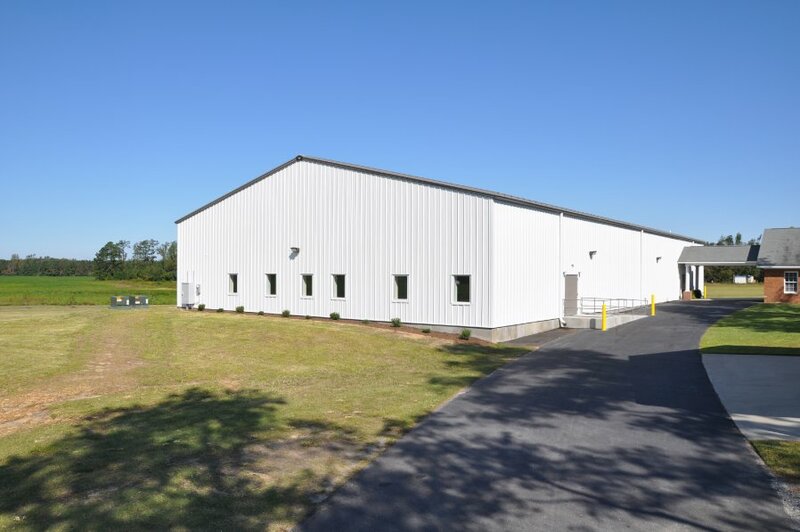 Project Description: 21,446 SF Varco Pruden pre-engineered metal building, metal stud framing, brick veneer, EFIS, full court basketball, kitchen, classrooms offices, gang toilets, future classrooms on second floor. 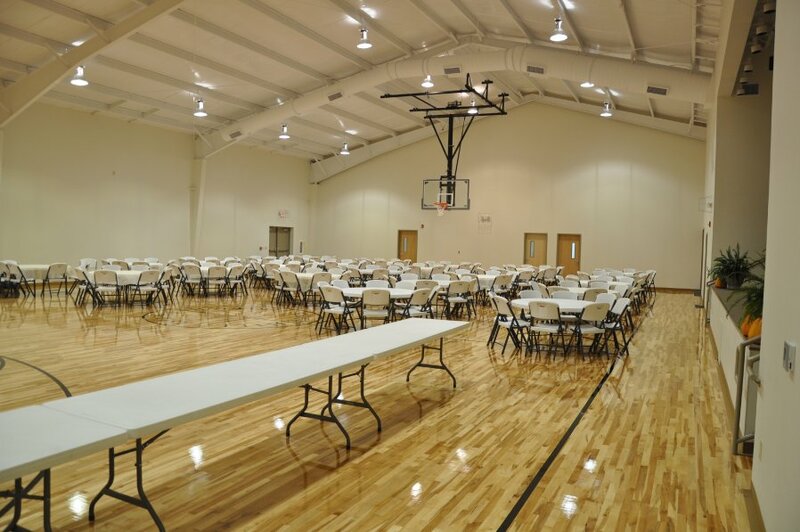 Project Description: 8,800 SF Family Life Center with sports flooring carpet, large kitchen and second floor mezzanine area. 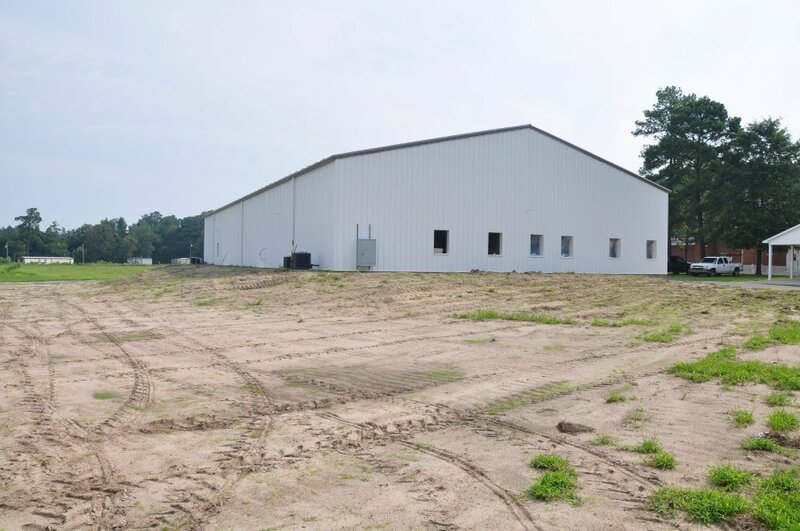 Pre-engineered metal building with brick veneer. 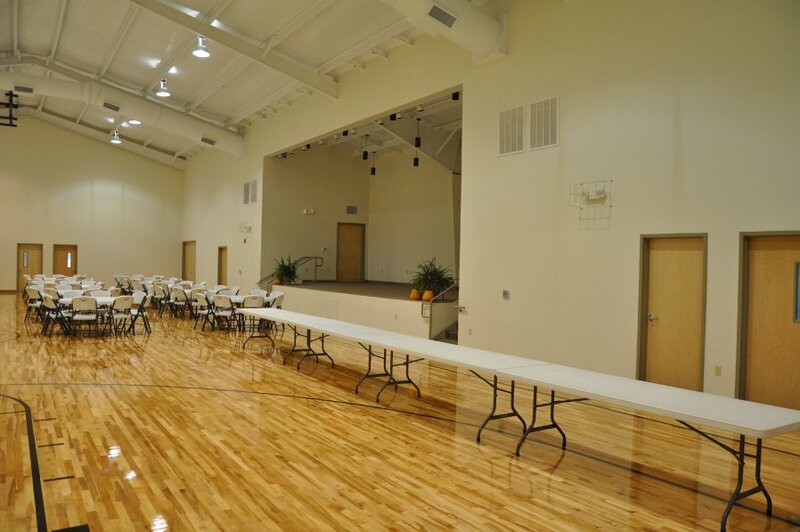 Project Description: 33,247 SF; 5,900 SF educational 2nd floor, full court Gym with stage, kitchen, classrooms, offices. 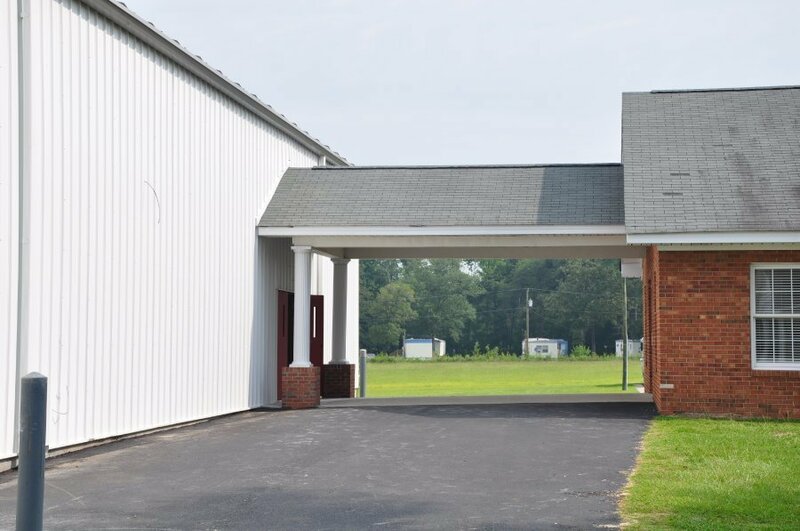 Load bearing masonry, metal stud framing, shingles, brick veneer, and EFIS. 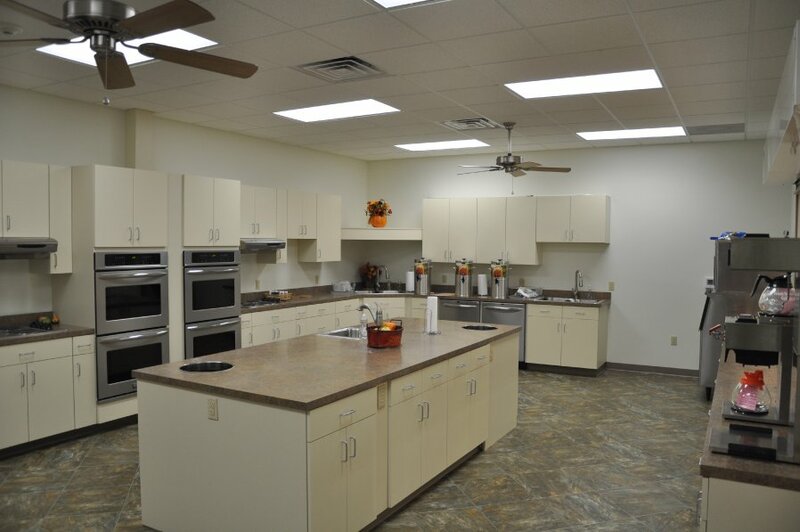 Family Life Center includes a kitchen, nursery, narthex, multi-purpose room, classrooms, and offices.